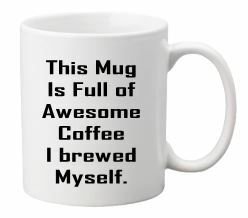 If you love drinking awesome coffee, you have come to the right place. 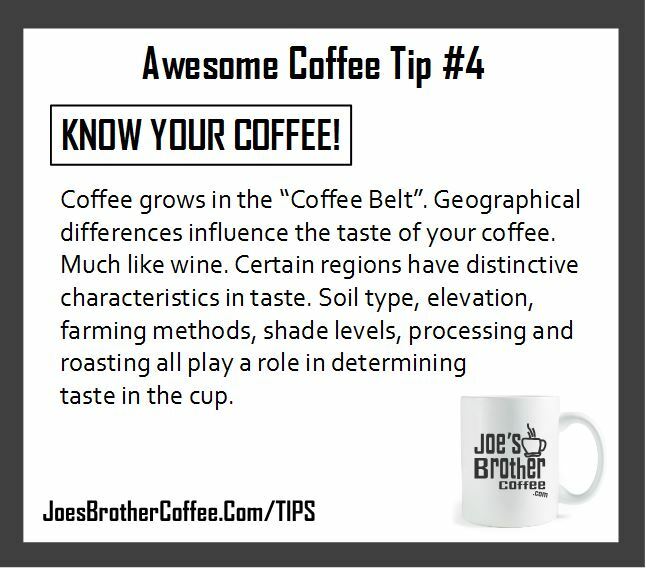 Joe's Brother Coffee has developed our Awesome Coffee Tips to give you everything you need to know about selecting and brewing coffee at home that you will love. 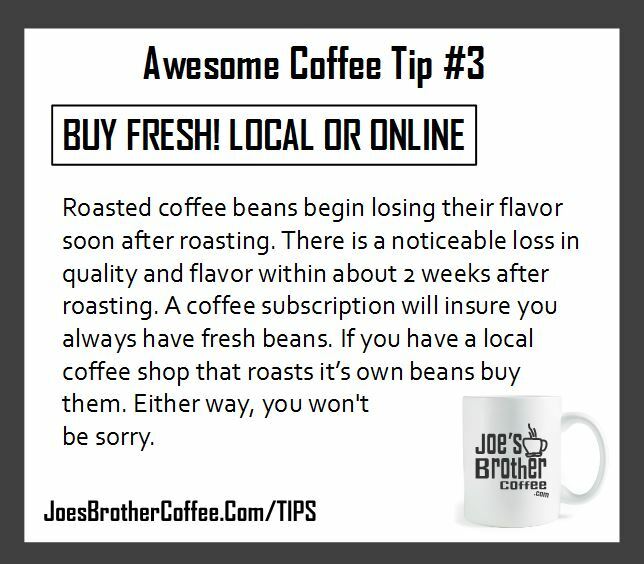 No.1 Start with fresh roasted whole bean coffee, which incidentally, you can buy in our store. But lets just assume at this point you already have. 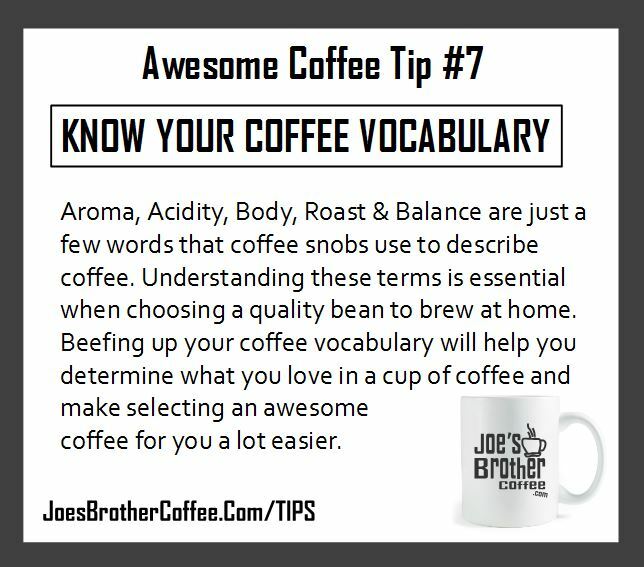 No.2 Use quality grinding and brewing equipment and grind immediately before brewing to produce an awesome cup of Joe. Grinding only takes 15 seconds! We don't sell equipment, we sell coffee. But, whatever you purchase, resist the urge to go cut-rate cheapo! Trust me, you will not regret spending good money on a quality coffee grinder. Be sure you get high quality equipment. It truly makes a difference. 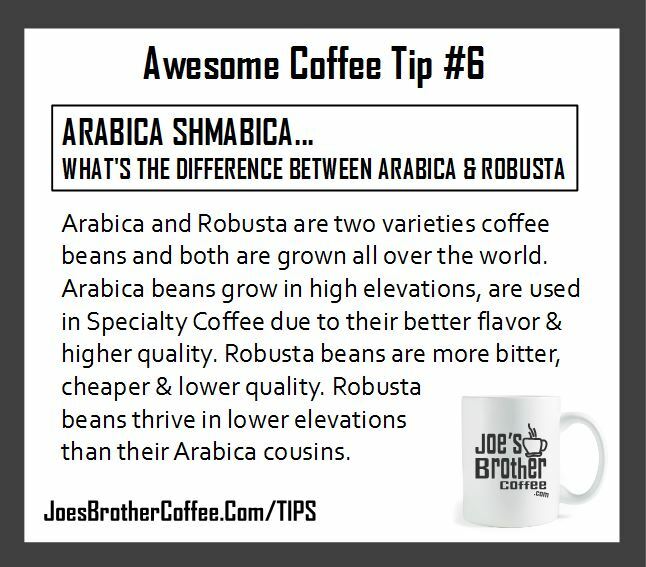 We simply want to help you to produce the best cup possible and to be your preferred coffee roaster. 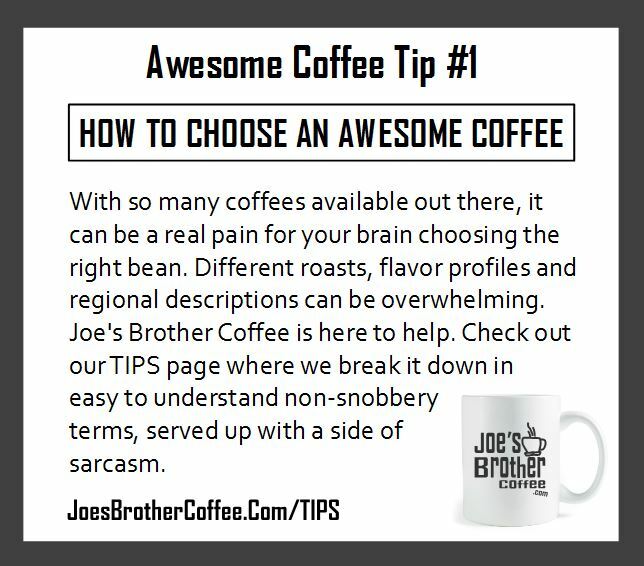 Below you will find links to each of our Awesome Coffee Tips. 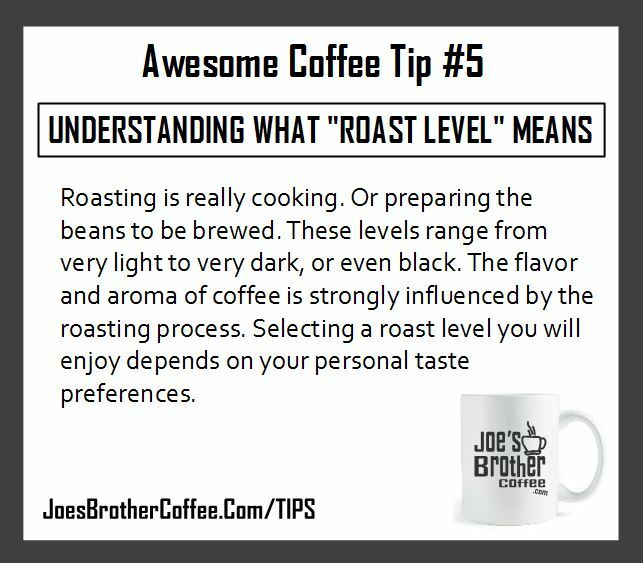 These tips should be the starting point of your coffee adventure. 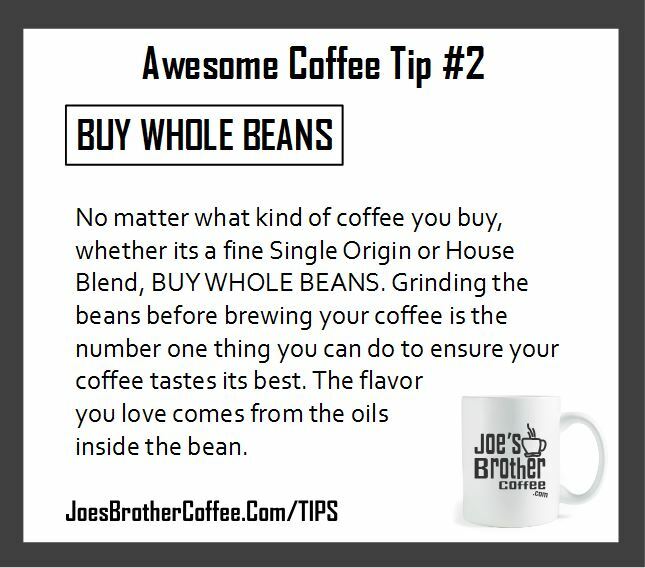 Once you learn the basics of selecting quality coffee beans and brewing coffee at home, you will be well on your way to an awesome coffee experience!